The Sofitel Lyon Bellecour is in a fantastic location in downtown Lyons. 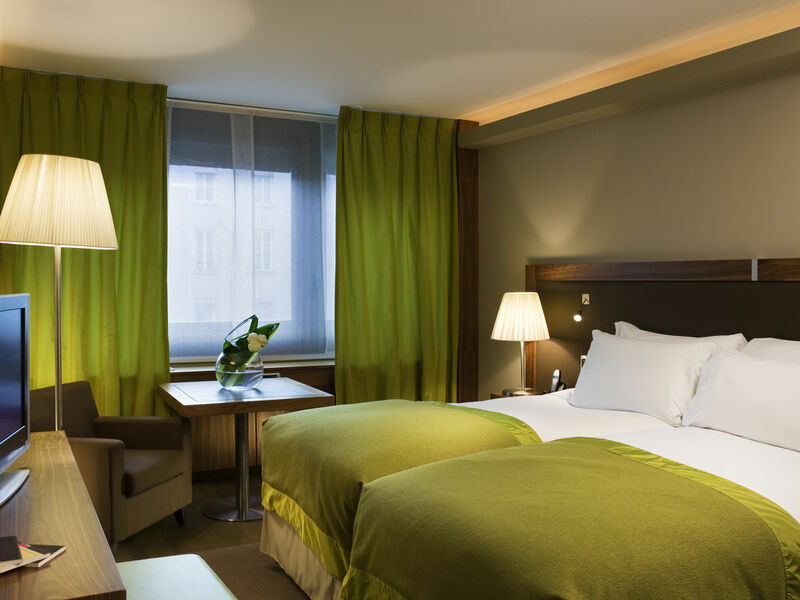 On the banks of the Rhône, near Place Bellecour and Vieux Lyon - a UNESCO World Heritage Site - this 5-star hotel is surrounded by boutiques, museums and historic monuments. The Michelin-starred Les Trois Dômes restaurant invites you on a culinary and cultural voyage in the capital of gastronomy: enjoy the creations of Chef Christian Lherm while taking in the spectacular views of the city and its monuments. Stay in one of the 164 rooms and suites and discover the hotel's incredible facilities: Le Melhor panoramic bar, the Light Bar with a feature fireplace, Le Silk Brasserie and the So FIT relaxation area. 12 rooms are available for professional and private events. Welcome to a hotel that blends design and culture. The silks featuring in its elegant décor retrace the city's silk heritage. Embark on a Magnifique voyage through the captivating cuisine of Christian Lherm. Life is Magnifique in Lyon!.. The tailor-made, attentive service of the teams is there to ensure your well-being. 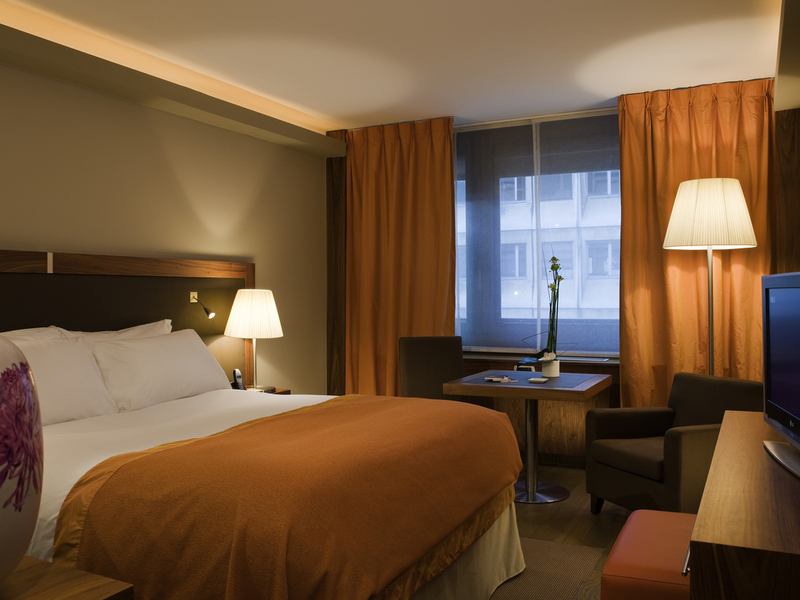 For leisure or business, the hotel's central location makes traveling easier. The 8th-floor restaurant offers a 180-degree view of the city and the banks of the river Rhône. Each Sofitel hotel is a unique blend of French art de vivre and local mores. The capital of gastronomy and the birthplace of the silk industry, the rich history of Lyons will delight lovers of art and culture. In the heart of the city, the Sofitel Lyon Bellecour hotel is located in a district classed as a UNESCO world heritage site. Between the Saône and Rhône rivers, enjoy a walk along the banks and discover the authentic cuisine of Lyons' renowned Bouchons. Ascend the heights and dine in the 8th-floor restaurant for breathtaking views of the city which produced the Lumière brothers. Chef Christian Lherm offers culinary creations every bit as exquisite as the landscape. The interior of the hotel combines technological innovation, contemporary design and traditional expertise, inherited from the silk makers of Lyons. A colorful and relaxing decor that combines refinement and lighting effects. With its "petit Paris" style, its sunny squares and its many neighborhoods, Lyons is a typically French city. From the modern architecture of the Confluence neighborhood to Old Lyons with its narrow cobbled streets, you can easily see the city on foot. 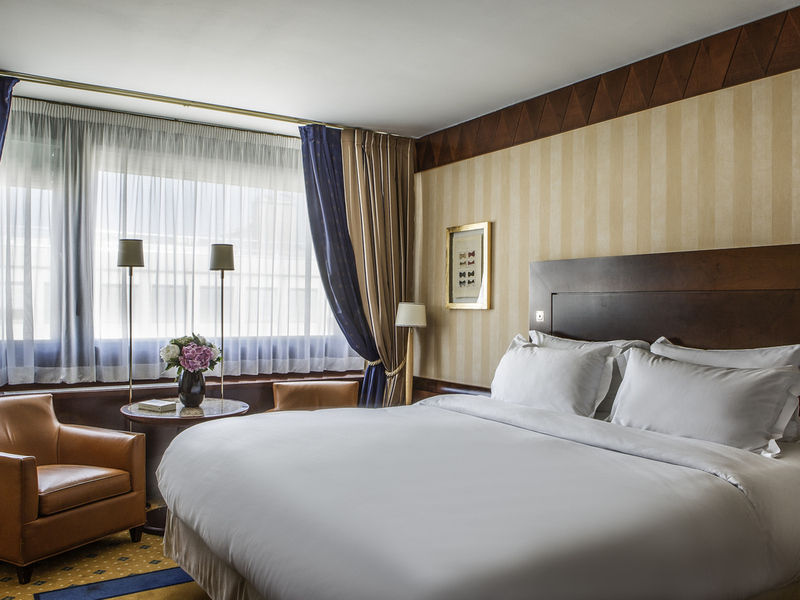 Book luxury Lyon accommodation at Sofitel Lyon Bellecour: 164 rooms feature satellite TV, high speed internet and the famed Sofitel MyBed®. 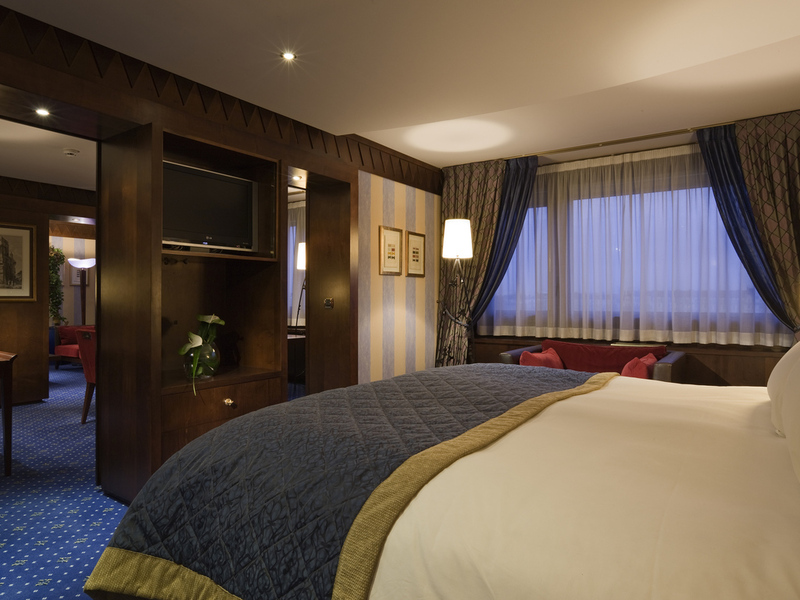 Prestige suites have large living rooms, free minibars and river views. Superb central Lyon accommodation. Our 29 Junior Suites, measuring 484 sq. ft., offer comfort and space. 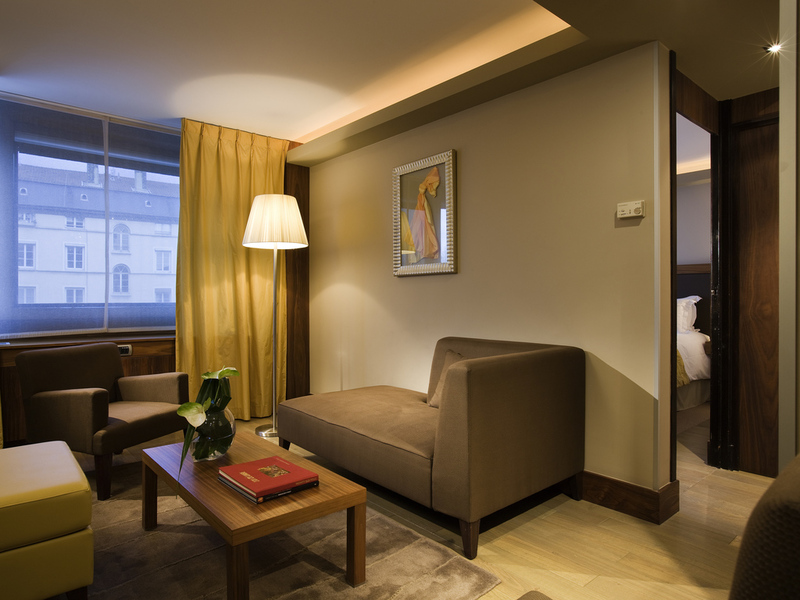 Enjoy an exquisite stay in a Prestige Suite, measuring 807 sq. ft., featuring a minibar (non-alcoholic drinks), walk-in closet, dining room, Hermès toiletries and Bose sound system. 215 sq. ft. (20 m2). A unique room nestled in a corner of the hotel with flat-screen TV, high-speed Internet access, bathroom with shower or bathtub, minibar, luxury toiletries. 269 sq. ft. (25 m2). Cozy and elegant room. Flat-screen TV, high-speed Internet connection, bathroom with shower or bathtub, minibar, luxury toiletries. 269 sq. ft. (25 m2). Cozy and elegant room with two single beds. Flat-screen TV, high-speed Internet connection, bathroom with shower or bathtub, minibar, luxury toiletries. 269 sq. ft. (25 m2). 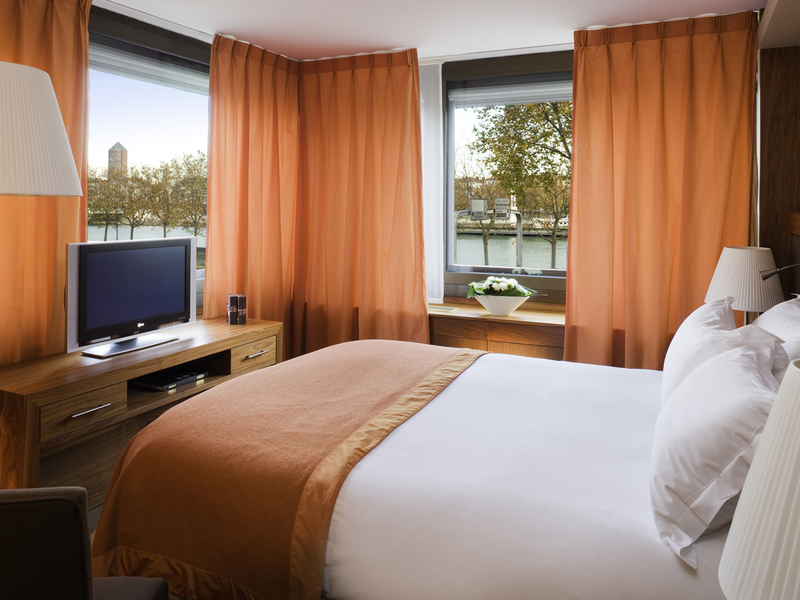 This comfortable room with its warm decor has superb views over the river Rhône. 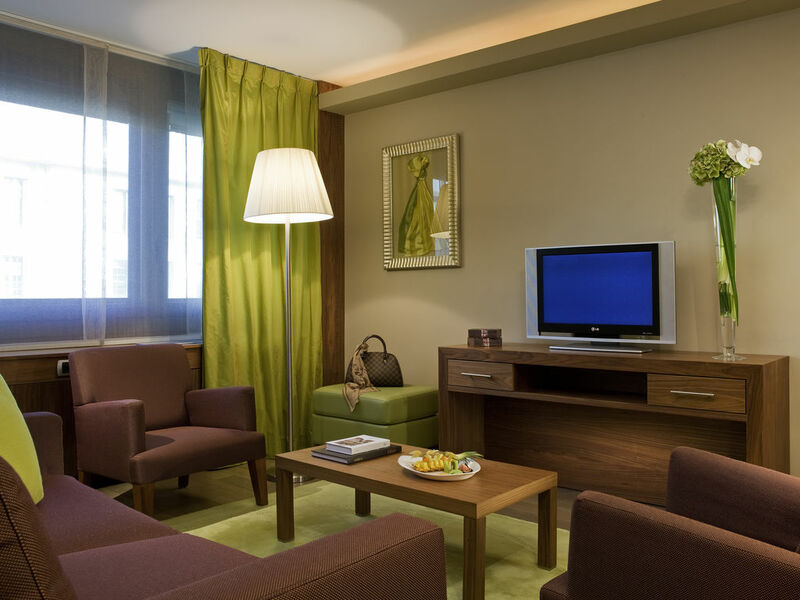 Flat-screen TV, high-speed Internet connection, bathroom with shower or bathtub, minibar, luxury toiletries. 484 sq. ft. (45 m2) Junior Suite with separate lounge, luxury surroundings and warm colors, flat-screen TV, high-speed Internet connection, bathroom with shower and bathtub, luxury toiletries. 484 sq. ft. (45 m2). Suite with separate lounge, superb views over the river Rhône, luxury surroundings and warm colors, flat-screen TV, high-speed Internet connection, bathroom with shower and bathtub, luxury toiletries. 861 sq. ft. (80 m²). Apartment with lounge, dining room and bedroom. Superb views over the river Rhône. Two flat-screen TVs, high-speed Internet connection, free minibar, two bathrooms; one with bathtub, the other with shower. Discover the refined cuisine of the Michelin-starred Les Trois Dômes restaurant while enjoying spectacular views of Lyons from the top floor. Back on the ground floor, Le Silk Brasserie is open daily and offers simple yet delicious cuisine. Two different bars, two different atmospheres: sample a cocktail in the subtle surroundings of Le Melhor while enjoying one of the best views of Lyons and the Rhône, or take a break and relax on the terrace or around the fire at the Light Bar. Enjoy a cocktail in the subtle decor of the panoramic bar, with live music at weekends. Simple and generous cuisine to suit every taste with a wide selection of De-Light dishes. The Michelin-starred restaurant offers gourmet creations that are as elegant as they are tasty. This Michelin-starred restaurant, a gastronomic hotspot in Lyons, combines exceptional cuisine and unique views out across the city lights. Sample the creations of chef Christian Lherm accompanied by a glass of fine wine against the backdrop of the Rhône. Sip signature cocktails at this chic, cozy Lyon bar with stirring views over Lyon. The drinks menu - available on iPad - ranges from a sherry aperitif to a fine cognac or single malt whisky. Live music enlivens Friday and Saturday nights. Pop into this contemporary lobby bar and summer terrace for a fresh pastry, informal lunch meeting, afternoon tea or glass of wine by the fire. Indulge in champagne paired with local Bernachon chocolate: scrumptious. Live music Wednesdays. This easily accessible hotel is the perfect place to host events, with 12 modular rooms and all the technology you need (WIFI, overhead projectors). A tailor-made welcome for large and small-scale events. To personalize your event and ensure its success, our InspiredMeetings concierges are on hand every step of the way. A wide selection of modular room layouts is available, be it for professional meetings, cocktails or tasting sessions. The enormous eighth-floor room offers unrivalled views of Lyons. Interpreting services, gourmet breaks and custom-made menus all combine to make your meeting or function in Lyons a success. Take advantage of complimentary access to the hammam and sensory shower facilities or relax with a Deep Nature massage or a Biologique Recherche treatment, exclusively available at the Sofitel Lyon Bellecour hotel. Open daily from 10am to 8pm. Our team, led by Les Clefs d'Or concierges, offers a tailor-made service: reservations for seeing Lyons by foot, by car or by boat, car rental, currency exchange, valet and babysitting. Pets are welcome. Enjoy the cuisine and soak up the atmosphere in one of Lyons' many bouchons, restaurants typical of the area specializing in succulent meat dishes. We will help you discover hidden gems in the Vieux Lyon district, which is a UNESCO World Heritage Site. A fully equipped fitness center right in the city center, overlooking the hotel's lush garden. Free access to guests daily from 7am to 10pm.